Centrix Tempit Unit-Dose Provisional Material Tempit’s unit-dose delivery system eliminates mixing while facilitating placement and maximizing asepsis. 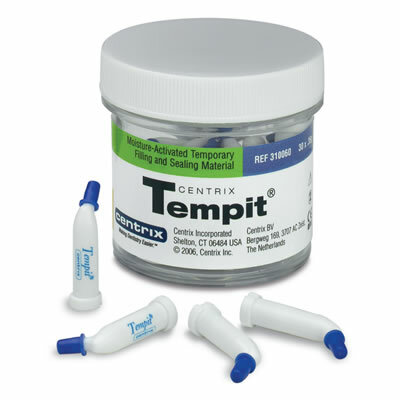 Centrix’ Tempit is a moisture-activated temporary filling and sealing material developed specifically for sealing the access cavity between root canal treatments. Single-dose syringe tips eliminate the need for mixing while facilitating placement; the material is simply injected directly into the prep. Unit dosing also maximizes asepsis.